The last orders are packed and Tom and I are the last ones at the shop today. Everyone else left early to start trips or go shopping. After a couple of holiday beers we'll lock up. Velo Orange will re-open on January 5. We're having a traditional goose dinner with friends at our house, then heading north to see family and, perhaps, do a bit of skiing. Any one doing bike related stuff? There will be news about hubs, new quick release skewers, new LED dynamo lights and other cool stuff when we get back. 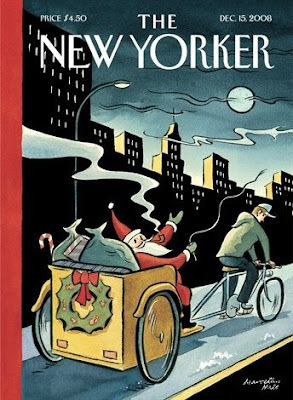 Hope everyone has a great holiday season. Cheers! We will be closed for the Holidays, from December 24 through January 4. If you need any components made in Japan you probably will want to buy them soon. The recent strengthening of the Yen may result in price increases of as much as 25% when when we get our January shipments. Ouch! It was interesting that a comment on the previous post asked us to stock wheels with internal gears and interior brake hubs. Just yesterday I was asking Tom to get pricing on wheels with a Strumey Archer internal gear rear hub with brake and a front hub with dynamo and brake. We are also ordering our cassette hub wheels, but I don't want to release details just yet. The fixed/SS wheels just came in. We'll probably run out of this first shipment soon, but more are due in next week. I recently treated myself to a new set of fixie/single speed wheels. They are hand-built in the USA on 36-hole flip-flop, sealed bearing, high flange, hubs. 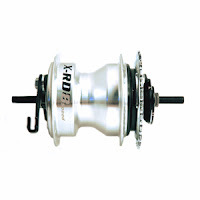 These are the well known and very nice hubs made in Taiwan for Formula, IRO, Velocity, etc. They are very smooth, look nice, and (I'm told) are very durable. Of course I didn't want the narrow aero rims favored by the hip crowd. Instead I got my favorite Sun CR18 rims. The inexpensive CR18s are a super durable 22.5mm triple box section rim. At 484 grams they are lighter than some single wall rims. 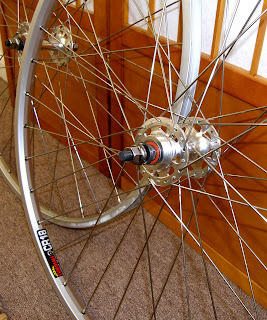 The spokes are DT 14g stainless. My thinking was that these wheels will take wide tires and be super durable, yet reasonably light. The rear is spaced at 120mm, but there is room for a couple of 5mm spacers should I decide to use them on a road frame. Tom and I were impressed enough by these wheels that I decided Velo Orange should stock them. And at about $160 I think they are a great bargain. Of course this means we'll be stocking track cogs and freewheels and related stuff too. We expect the first shipment of wheels in a couple of days. Speaking of wheels, we had been considered importing a retro-style rim from Taiwan. 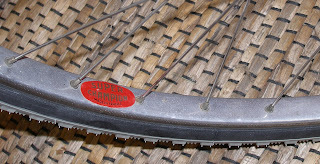 It's a single wall, pinned, 500gm rim with a highly polished finish, much like the old Super Champions. In the end I decided that with modern rims being stronger, lighter and with similar prices, the retro rims didn't make much sense. But I may have been wrong; apparently there are a number of folks who do want such rims. So we just asked for updated pricing and delivery times on 650b and 700c versions, about $40-45 and 2-3 months. Does anyone here think there would be significant demand for rims like that? Minnehaha bags are now in stock. They are made of 18oz cotton canvas with nicely thought out details. I want to complement the folks at Minnehaha for having the good taste to make black bags with tan leather so they will match the new Velo Orange bags (Actually our leather is darker, but close enough.) This should please the style conscious bag-matchers among us. The medium saddle bag, which is pretty darn big, makes a nice alternative to handlebar bag. It's big enough for a fair load of extra clothes and food for a long day trip. I like that the interior is white for better visibility. The Utility Panniers are my favorite of the Minnehaha bags for two reasons. The tall narrow shape solves heel clearance issues for many big-footed men who ride bikes with short chain stays. The other reason I like them is because they don't look like the VO pannier I've been planning ( VO's are more traditional). 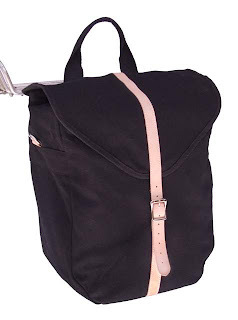 The Minnehaha Grocery Pannier is a nice folding design that will be perfect for many city bikes. Anyone who goes grocery shopping on a bike should have one or two of these. Ahren Rogers sent this photo of Leah, his partner, picking up supplies at the welding shop. Ahren builds our Pass Hunter and City bike frames and Leah welds our stainless steel racks. 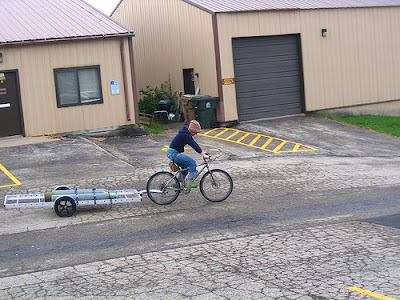 That's one big bike trailer. We should have 17-degree VO stems in 2-3 months. I would not have guessed that so many folks wanted them. Quill stems are another matter and will take some serious research. Minnihaha bags will be in stock at VO next week. 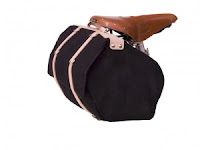 These are fairly inexpensive cotton panniers and saddle bags with leather trim. Tom has finished testing the economical dynamo hubs I wrote about some weeks ago and we have decided to put in an order for them. While they are not as nice as the more expensive SON and Shimano hubs, the VO community has convinced us that there is a need for a basic dynamo hub. We will have a quick release version in stock sometime this winter. It seems that the VO French thread bottom brackets will actually be made. This listening to customers idea is working out pretty well. I wonder if the big American auto companies should start blogs? Just a short note to tell everyone who's e-mailed that VO stems just arrived and are back in stock. We have all sizes from 70 to 120mm now. I can hardly believe how popular these have been. We also have Falcon thumb shifters again. We are also looking into having VO brand cloth handlebar tape made here in the US. We sell a lot of Tressostar tape and VOI even distributes it to other stores, but we are disappointed that some colors have been discontinued (especially orange). I'm not at all sure that we can make this happen; the mills need big orders and re-rolling into short lengths is surpirisingly expensive. But what new colors would you like to see if we do manage to pull it off? As some of you know, we have another company, called VO Imports (VOI). The purpose of this company is to sell to bike shops and distributors, rather than to retail customers. VOI has a warehouse and office next door to us, but it is a separate company. 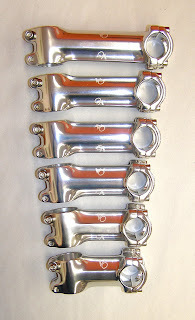 VOI sells some Velo Orange parts and it also starting to import and distribute components and accessories from other companies. VOI's general manager is Tom Martin, who has many years experience in the bike distribution business. He is great at getting stuff made, keeping in almost constant touch with Taiwan. He is also known here for creating gigantic spreadsheets detailing an almost infinite number of cost and design variables for each of our products. In addition he maintains relations with all the shops that stock our products. Tom probably doesn't have an easy time working with me. In Tom's world, which is the standard distribution model, a company designs a product and has a factory makes it. Then the agent who helped set it up us gets a small cut. Now the component company sells the part to a distributor and so makes its profit. The distributor sells the part to a bike shop and makes its profit. Finally the bike shop makes a profit selling the part to a customer. As you can see, there are a lot of folks taking a cut. And so the bike business world has always smoothly revolved. 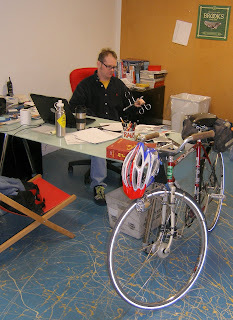 But I am not from the bike or the distribution biz and I have a long history of building companies by breaking rules. 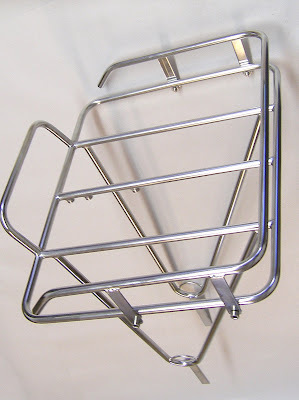 I decide that some Velo Orange products, the stainless steel racks as an example, must be affordable and cut out all the middle men. The distributor and bike shop can't sell them and so don't get a cut. Velo Orange does not get those cuts either; the customer does. I've upset the apple cart and poor Tom has to hear the complaints. Tom feels, and he is probably correct in this, that if we simply raise prices or concentrate only on items that can be sold through traditional distribution channels both VOI and Velo Orange will grow even faster. But I want to keep prices low. And so it goes. Tom has started a VOI blog, as well as a Twitter and Face Book page. The blog is intended for shop owners and their employees, but many here may find it interesting too. A lot of folks have been waiting for the next shipment of Porteur racks. They are here! Rails too. Last time they sold out in a week. 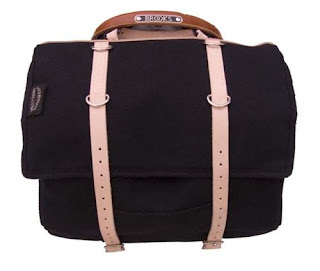 On another subject, I saw an interesting statement on another blog about canvas and leather bike bags. The author said that it was easy to get such bags made in China and that that was somehow bad. I don't know about China specifically, since Velo Orange does not have any bags made in China and has never even investigated it. But I imagine the design work involved and the material sourcing and the quality control is just as hard as in any other country. What really bothered me about this is the implication that providing more economical cycling products is a bad thing. Not everyone can afford expensive gear, like our American-made VO Porteur rack. There is a great need for good quality classic cycling gear at affordable prices no matter where it's made. The elitist attitude that good quality gear can only be made in Western Europe or the US or, perhaps, Japan, has always bugged me. I often see products from Taiwan that are better made than their US or European counterparts. What is actually easier is getting stuff made when price is no object.